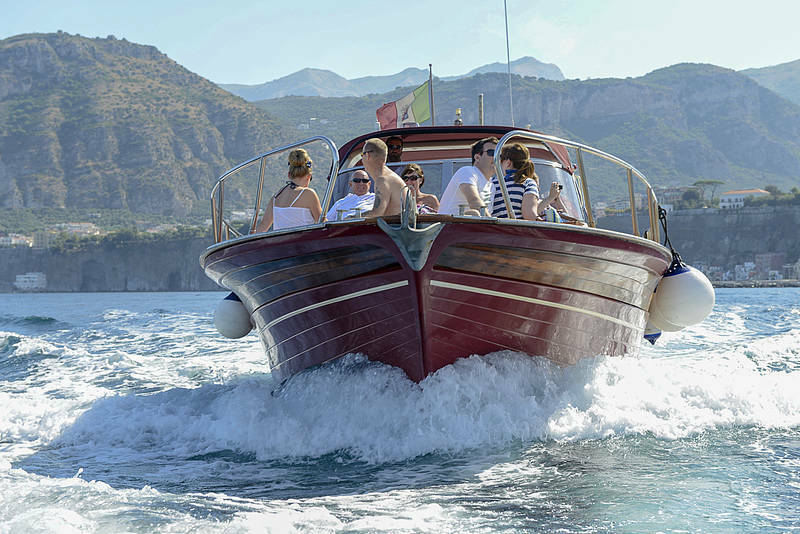 Enjoy the striking beauty of the Italian coastline with this boat tour from Sorrento. 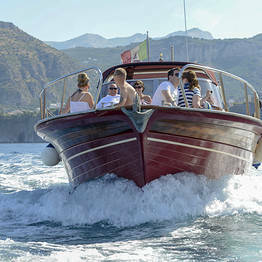 Explore Pompeii and the luxury island of Capri on this day-tour full of fun and relaxation. All in one day! 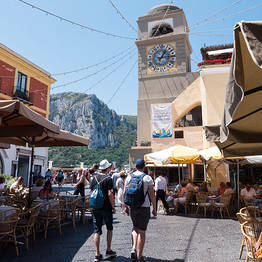 Pick-up from a meeting point close to your hotel and transfer to the port at Piano di Sorrento. 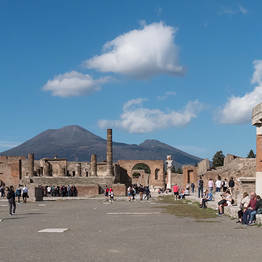 Transfer by boat to Castellammare di Stabia and a bus transfer from there to Pompeii. 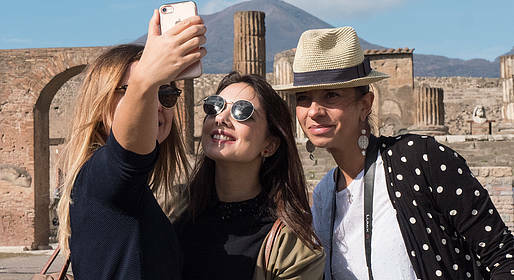 Two-hour tour of Pompeii with authorized English speaking guide. Return to the port to depart for Capri. 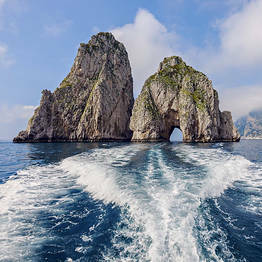 Sail around Capri with stops at the Faraglioni sea stacks, White Grotto, Green Grotto, Marvellous Grotto and all the other points of interest around the island. 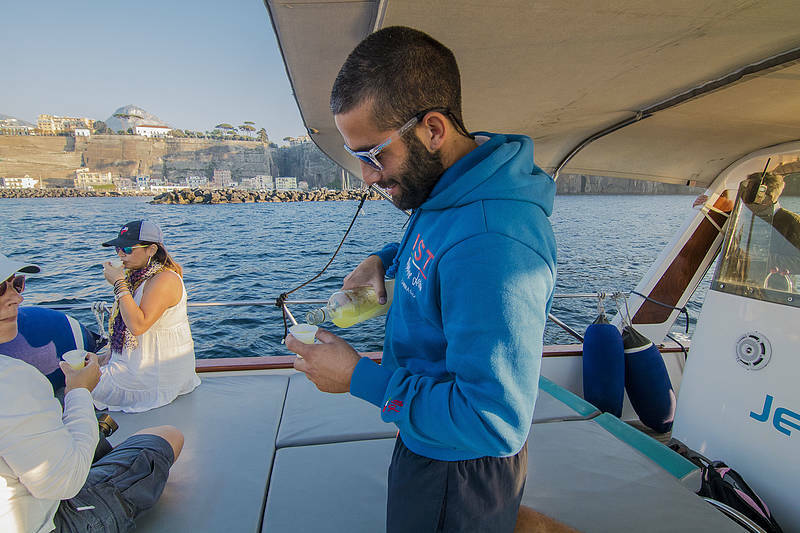 Drop anchor to swim and relax on board with drinks and snacks offered by your skipper. Dock at Marina Grande for free time to explore by land (3-4 hours). 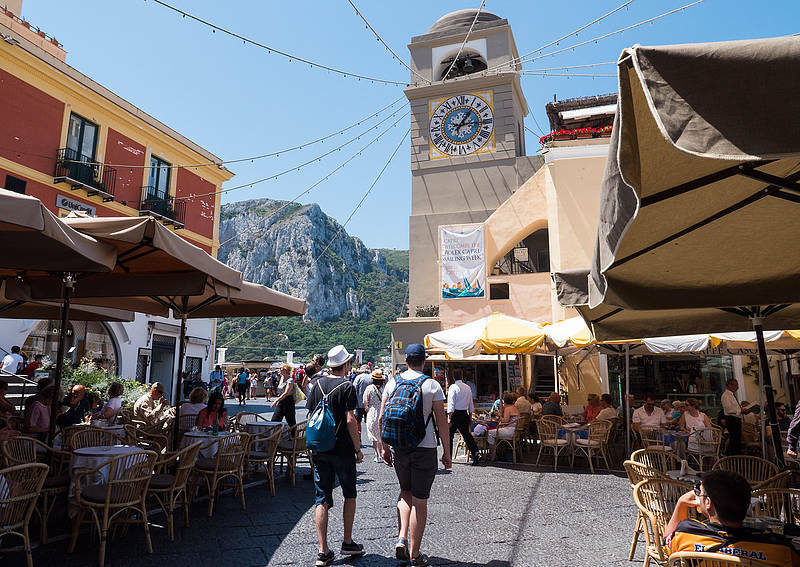 Return to Sorrento with a limoncello toast at the end of the day. Transfer from the port to the initial meeting point. On board: snacks and drinks, snorkeling gear, wc, life jackets. 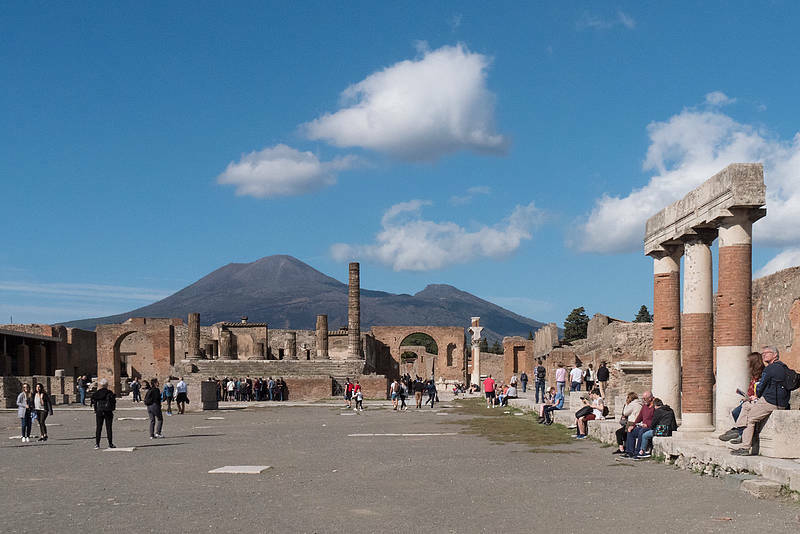 Tickets to enter Pompeii (€15). Blue Grotto visit: given the long wait to enter the grotto, this tour does not include a stop though you may be able to visit during your free time on land. Tickets can be purchased directly at the grotto entrance for €15. Departure is at 9am with hotel pick-up beginning at 8am. You Know will send precise times and places for pick up after you book and based on your hotel location. 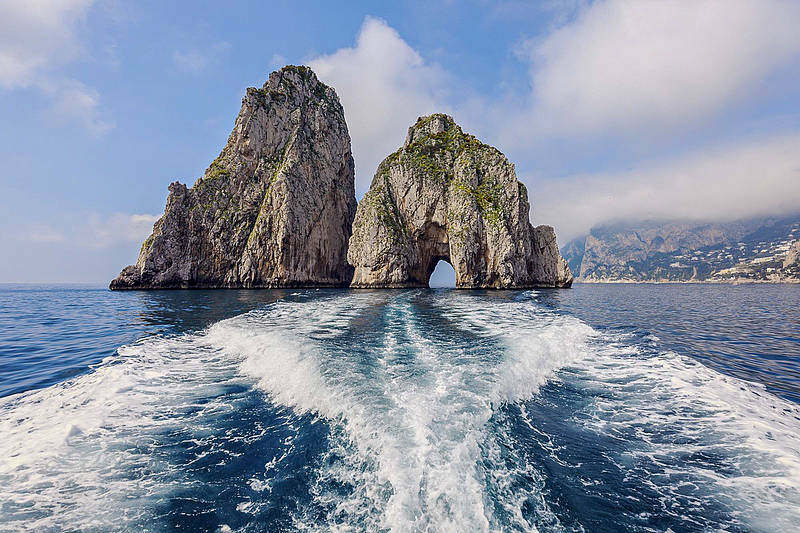 In case of bad sea conditions the itinerary is subject to change as it follows: the visit to Capri will be made before the visit to Pompeii. Code: SRWQ3 By You Know!